Close up of Mozart marionette's face, which is hand-painted. Mozart was known for his intense blue-grey eyes. He also wore powdered wigs for public performances. 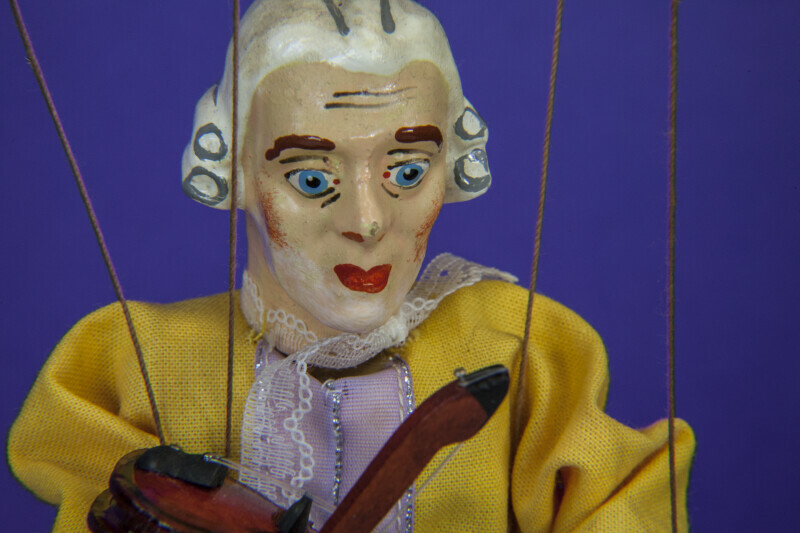 This picture shows the details that are painted on his face, and the four strings that are used by the puppeteer (manipulator) to control the marionette. This figure stands 8 inches (20 cm) tall.